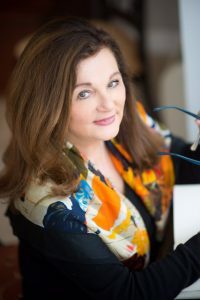 Ann Marie Sabath is the founder and president of At Ease Inc., a 32-year old firm specializing in domestic and international business courtesy programs. She is also the author of Business Etiquette In Brief, Business Etiquette: 101 Ways To Conduct Business With Charm And Savvy, The International Business Etiquette Series on Asia, Europe and Latin America, Beyond Business Casual: What To Wear To Work If You Want To Get Ahead, Courting Business: 101 Ways For Accelerating Business Relationships and One Minute Manners: Quick Solutions To The Most Awkward Situations You’ll Ever Face At Work. 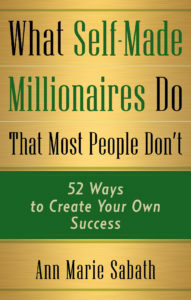 Her ninth book, What Self-Made Millionaires Do That Most People Don’t was released by Career Press on May 21, 2018. Sabath’s business manners’ column was part of newspapers across nation for more than two decades. Today her writing often appears in Thrive Global created by Arianna Huffington. Sabath’s books and training concepts have been featured in The Wall Street Journal, USA Today, Time Magazine, Condé Naste Traveler, Delta Airlines’ SKY Magazine as well as on CNN, CNBC, and 20/20. 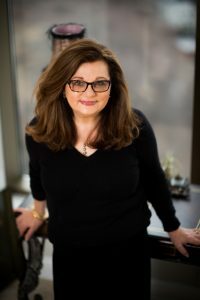 Since 1987, Sabath and her staff have trained more than 200,000 individuals representing the business, industry and government sectors in how to gain the competitive edge. Her programs: “10 Key Ways for Enhancing Your Global Savvy,” “Polish for Building Profits,” “Five Strategies for Shattering the Glass Ceiling,” “Courting Business: Key Ways for Accelerating Business Relationships,” and “Strategies for Success: Are You a Business Person or Business Professional?” have been presented to individuals representing Accenture, American Express Bank, Apple, Cargill, Dun & Bradstreet, Deloitte & Touche, Fidelity Investments, EY, the Global Equity Organization, Merrill Lynch, PWC, Toyota Motor Corporation, UBS, among hundreds of others organizations domestically and internationally.